College students may be able to save as much as 70 percent off their textbooks through a new rental program from McGraw-Hill Education. Starting this spring, the company is offering rentals on more than 250 of its copyright 2019 titles, plus all future titles, through its e-commerce channel on the company website as well as through approved distributors. McGraw-Hill Education currently has distribution agreements with Barnes & Noble Education, through its Barnes & Noble College and MBS Textbook Exchange subsidiaries, and Chegg. 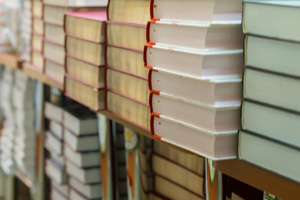 That means the rental program will be available to millions of students via Barnes & Noble Education's physical and virtual campus bookstores and Chegg's connected learning platform. "We want to help students be more successful and instructors achieve their teaching goals, at an affordable price that meets their needs," commented Bill Okun, president of higher education at McGraw-Hill Education, in a statement. "By shifting the way we deliver hard-bound textbooks, we're providing another important option to access McGraw-Hill's high-quality content and curriculum at a lower price." For more information, visit the McGraw-Hill Education site.